La Casa Azul Bookstore is dedicated to providing cultural, and educational programs via literature and art in East Harlem. 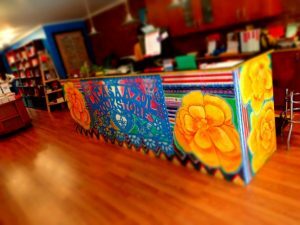 It is our vision to foster public awareness and appreciation of the arts by being a focal point where people come to find unique art and books; and participate in culturally-based programs that celebrate Latino traditions and literature. Join our newsletter to receive information about event listings. local, independent bookstore – shop our online store! When you shop at an independently owned business, your entire community benefits: more independents means more choice, more diversity, and a truly unique community!